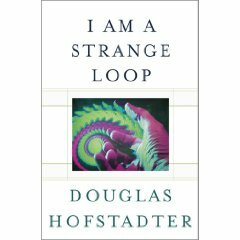 Douglas Hofstadter is a Professor of Cognitive Science (thinking) and the son of a Nobel-winning nuclear physicist. An earlier book won him the Pulitzer Prize for non-fiction. Although famous for thoughts in the field of Artificial Intelligence (AI), Hofstadter is actually skeptical about AI and considers the modern world far too enamored of computers in general. This book is intended to flesh out the concept of human consciousness as a kind of ‘strange loop’ or self-referencing feedback loop. This construct is related to ideas in fractal geometry (particularly self-similarity at different hierarchical levels), molecular biology (particularly protein synthesis), cybernetics (particularly recursion) and is demonstrated in the more mathematically rigorous Gödel’s Incompleteness Theorems. These theorems point to the inherent and ultimate limitations of arithmetic computability. Purely symbolic representations can never be complete (and thus dies traditional AI). However, this is not a math text book. It is rather more personal and biological. This book is richly laden with stories of himself and others and how they think. He gradually moves from machine to mind to soul, increasing in mystery and non-computability along the way. AI researchers may find this book discouraging. Philosophers may find it encouraging. The surprising and even shocking idea that pieces of one’s soul can outlive the body (in the minds of others) may appeal to spiritualists. Everyone will find this book intriguing, thoughtful, and even funny.